Crafted from the best Specialty Coffee beans and then Artisan Roasted to perfection to create a medium acidity and very smooth body. 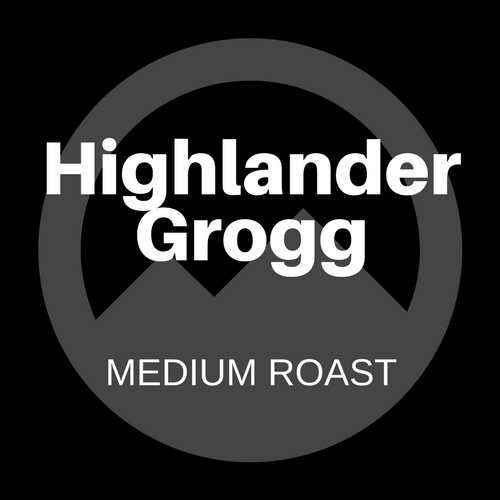 Our Highlander Grogg coffee is a distinctive blending of caramels and irish cream flavors with the hint of faraway tropical vanilla. If you enjoy a cool breeze blowing into your face and perhaps an invigorating bike ride in the highlands, this grogg is for you!. There is only one problem with this coffee - nothing else takes as good after drinking it. I can't drink other coffee anymore, because this set the bar so high. My wife is the same way! 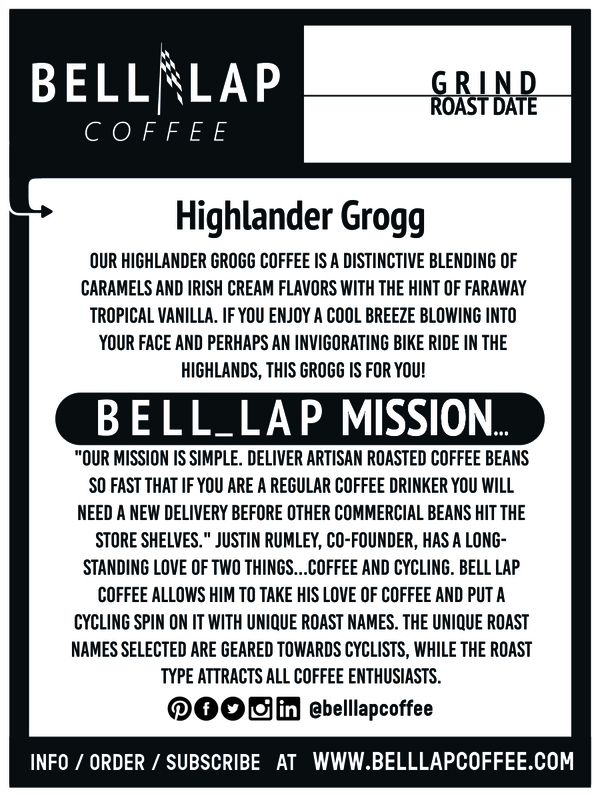 Coffee was never an option for myself until I was turned to Bell Lap Coffee and specifically Highlander Grogg! Great flavors throughout the entire cup or cups! You can't go wrong with any Bell Lap Coffee Roast. Love this coffee. Before Bell Lap I never would drink flavored roasts. This is a great one—and so is the Holiday Blend. Don't miss these when they are in season!